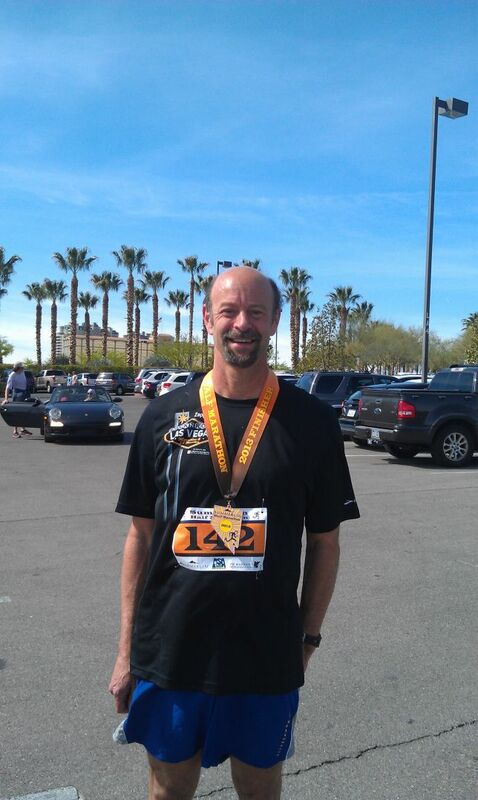 On Saturday 4/13/2013 I ran the Summerlin Nevada Half Marathon. I traveled specifically to Las Vegas for this event and I was using it to see where I was at in terms of fitness. I didn't have super high expectations on account that the course was hilly, I usually over eat while I am in Las Vegas and the temperature was warm and dry. 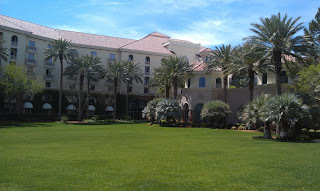 The race was held at the Summerlin Marriot Resort (also known as the Rampart Casino). Race morning it was sunny and fairly warm and dry. Not much wind and there definitely was a good crowd there. One of the advantages of having it at the casino is that there were plenty of nice bathrooms there. The course profile shows the first two miles are fairly flat -- maybe even down hill. After that, from miles 3 through 8 it is a 500 foot climb to the top. My 8:00 min per mile pace dropped off precipitously after about mile 4. The hills were unrelenting. What was nice is that after mile 10 it was all downhill and even though my legs were shot, I was able to rattle off some 8:15's and finish strong. 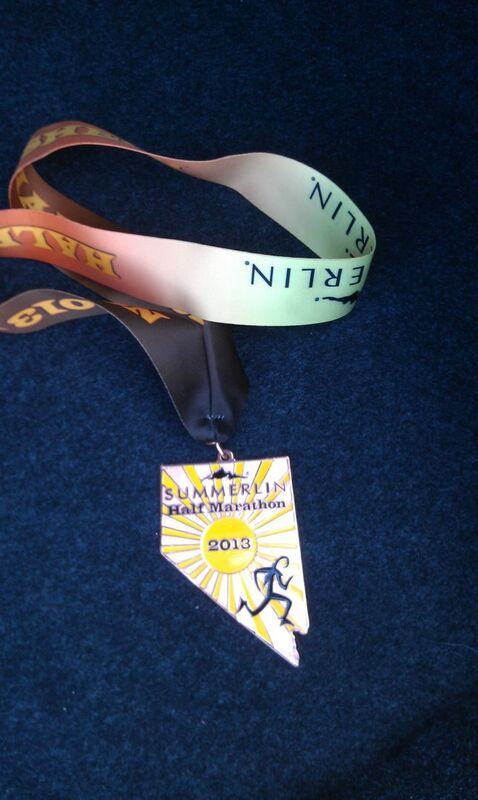 While my time was disappointing for me (1:50:02) the course was tough. 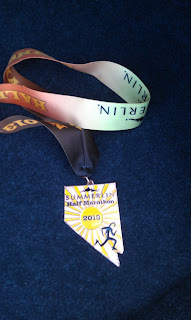 With a flatter course, I am guessing I could've turned in a much better time. The race organizers did a fantastic job. I thoroughly love the medal and the "expo" was pretty nice as well. There was plenty of course support as well -- including water stops at nearly every mile marker. The course is scenic -- taking you through residential Summerlin. Some parts of the course was run on streets and the police had done a good job making sure it was a safe environment to run in. Overall a well run race.